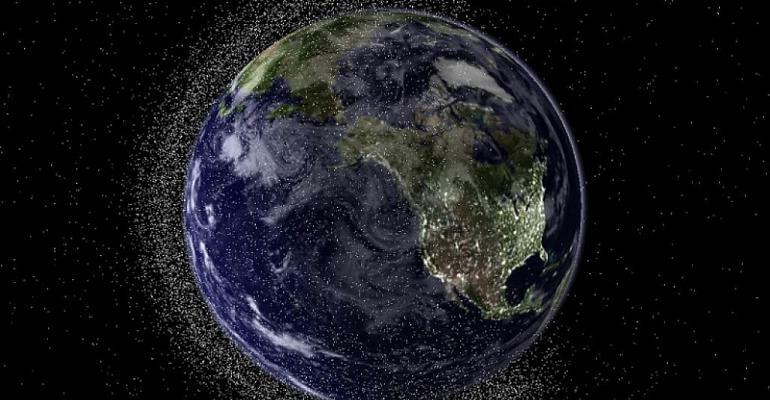 “Europe has been very keen to point out that none of the proposals put forward covers space debris – and that's one of the things that's most dangerous to satellites at the moment,” says Dr Sarah Lieberman, a senior lecturer at Canterbury Christchurch University, whose work focuses on European regulation and outer space policy. While the aim of multilateral discussions such as the ones going on in Geneva is to prevent the militarisation of space, many argue this happened long ago. This is partly because these days it's unclear what a weapon really looks like – and it's this ambiguity that is at the heart of the decades-old stalemate between the US and its rivals to the east. “From the Cold War and onwards we've seen the US, Russia and China exploring anti-satellite missiles,” says Alexandra Stickings, who works on space policy and security at Britain's Royal United Services Institute. “We've also seen a move towards non-kinetic threats to satellites. These are things like lasers that can be used to dazzle optical sensors; micro-frequencies that can be used to interfere with electronics and disable or disrupt satellites without necessarily destroying them. “Since 2008 Russia and China have been seeking to define a WMD, whereas everyone else has moved on and is looking at what we're going to do about lasers and jammers.” Lieberman also points out that these days satellites can be completely disabled by a laser from the ground, while satellite signals can be disabled by a jammer the size of a mobile phone. Kostas Tigkos, principal analyst at Jane's Military Weekly, doesn't envisage any immediate or catastrophic impact from failed talks, and says we're unlikely to see massive weapon infrastructure being launched into orbit anytime soon. Ongoing fighting does risk disrupting the process for peace in space, though.